The 4x400m should always be the last event of the meet program. I have never been to the Jamaican Champs track meet, but it’s on my bucket list! 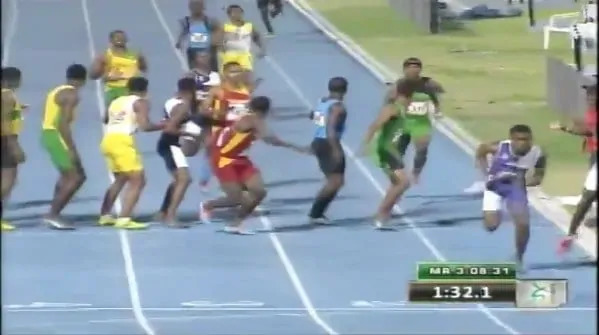 With all the young talent Jamaica has for sprinting, you know the 4x400m is the pride of the school, track program and sprinters! You have to give the Coach a lot of credit to put your 15 year old as anchor in the 4x400m relay. Check out Christopher Taylor’s earlier age group WR. Strategy is important in the 4x400m. You want a mentally strong lead-off leg, as with a 3 turn stagger, you never can judge yourself with the others. You must run your own race and not let the runner in the lane ahead of you affect your judgement. If you catch him, you might be going too fast and be in a world of hurt down the stretch. The 2nd runner must run an aggressive first 100m curve before breaking for the pole position. If you want to see a textbook 2nd leg, see Quincy Watts’ 1992 4x400m relay. The 2nd and 3rd runners must deal with 2 exchanges.. receiving, and passing the baton. The anchor of course must have the mental pressure to keep the lead, or the “hunt mentality” to chase a leader if not in 1st place. The 4x400m can have so many lead changes, and it will all come down to the final straightaway. 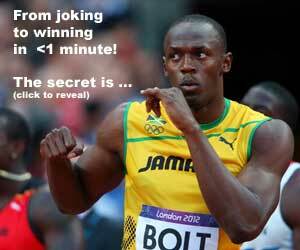 It’s the most agonizing 3 minutes a sprint coach can have!